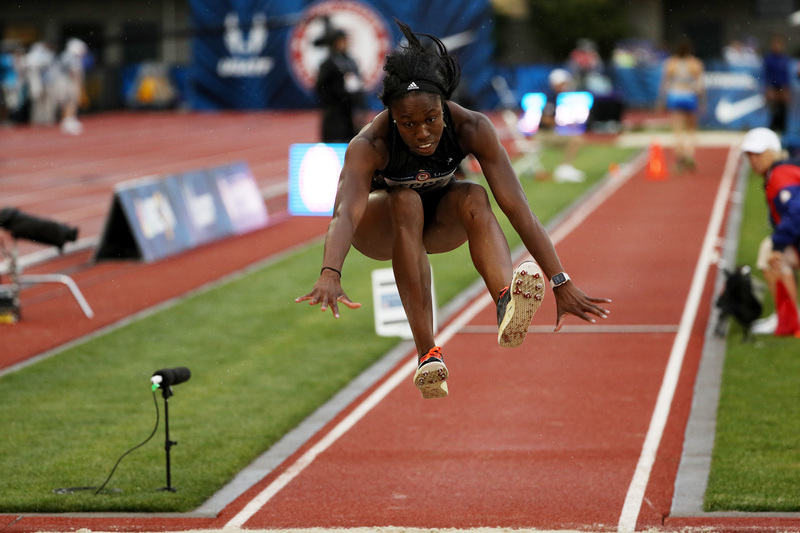 Christina Epps competes in the Women’s Triple Jump Final during the 2016 U.S. Olympic Track & Field Team Trials at Hayward Field on July 7, 2016 in Eugene, Oregon. She qualified for Rio with a mark of 46 feet, 6 inches in the triple jump, a personal record for the 25-year-old. This will be the first Summer Olympics for the New Jersey native. Epps graduated from Coppin State in 2013 with a degree in psychology. Francena McCorory from USA during the start to Women 400 M race at Track Town Classic, at the University of Albertas Foote Field, in Edmonton. Edmonton’s track & field meeting is currently ranked as a Top 30 meet in the World, Canadas premier one-day invitational/ international track & field competition, and the first major international meeting in North America after the Caribbean, Canadian and USA Championships and Olympic Selection Trials. On Friday, 15 July 2016, in Edmonton, Alberta, Canada. 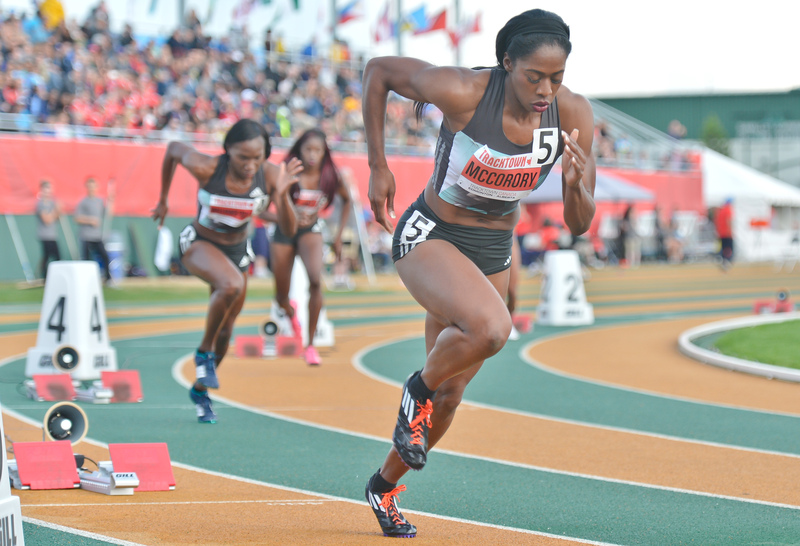 McCorory will compete in her second Olympic Games this summer after qualifying in the 4×400-meter relay at July’s U.S. Olympic trials. The Hampton graduate captured gold as part of the 4×400 relay at the 2012 Olympic Games in London. McCorory majored in psychology at Hampton, where she was a two-time NCAA champion. 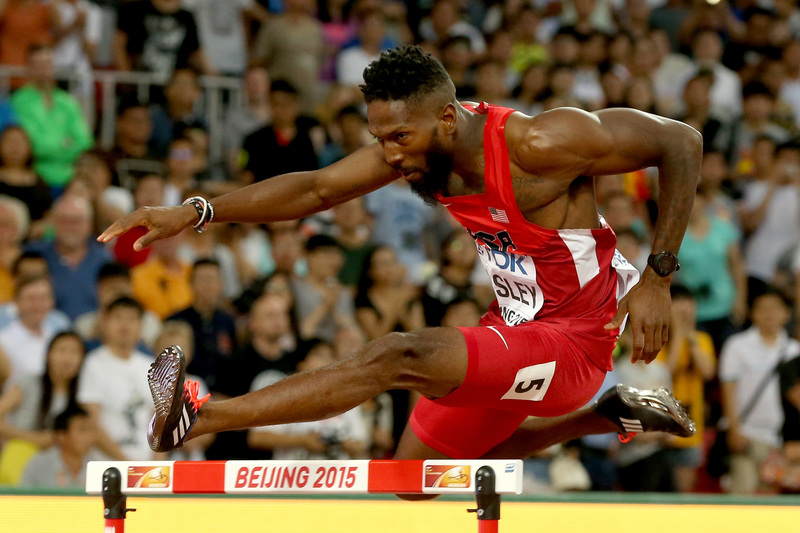 Michael Tinsley of the United States competes in the Men’s 400 meters hurdles semi-final during day two of the 15th IAAF World Athletics Championships Beijing 2015 at Beijing National Stadium on August 23, 2015 in Beijing, China. Tinsley is a two-time Olympian after qualifying for Rio in the 400-meter hurdles, four years after placing second in the same event in London. Originally from Little Rock, Arkansas, Tinsley majored in criminal justice at Jackson State, where he became the first track and field athlete in the school’s history to win an NCAA Division I title. 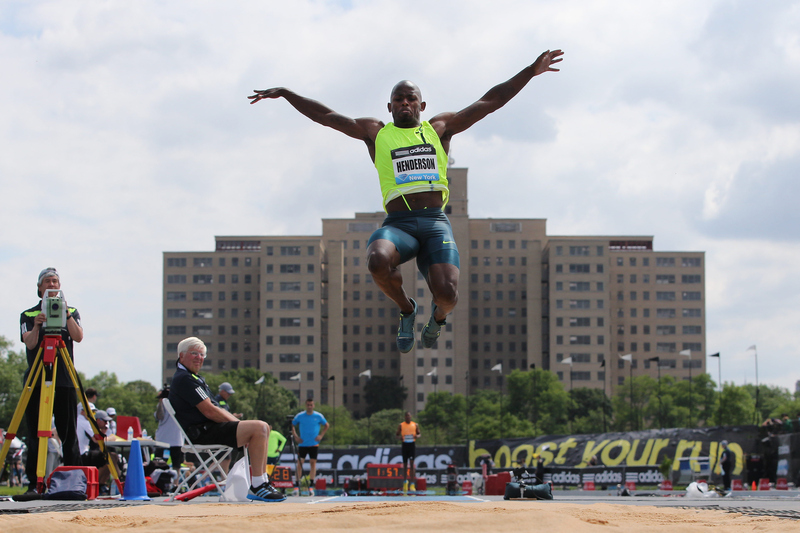 Jeff Henderson, USA, in action while winning the Men’s Long Jump competition during the Diamond League Adidas Grand Prix at Icahn Stadium, Randall’s Island, Manhattan, New York, USA. 14th June 2014. Henderson, who graduated from Stillman in 2013 with a degree in business administration, will make his Olympics debut this summer after placing first in the long jump at last month’s U.S. Olympic trials with a mark of 28 feet, 2 1/4 inches, a personal best. Henderson is a multi-time NJCAA and Division II national champion from his time at Hinds Community College and Stillman.